Despite the efforts by the authorities to ease poverty over the years, the annual rate of falling back into to poverty in Vietnam has remained high. The problem was discussed at a meeting held by the Committee on Social Affairs of the National Assembly in Danang City on October 9. In the report about the implementing result of Resolution 76 about reducing poverty to 2020, Minister of Labour, Invalids and Social Affairs Dao Ngoc Dung said that in late 2015, the number of poor and near-poor households accounted for 15.10% of the population. It reduced by 1.59% during the 2016-2017 period, higher than the 1.5% goal. It is estimated that it will continue to be reduced to 6% by the end of the year. The number of poor districts has also been reduced from 64 to 56. 21 out of 2,139 villages achieved the standards set in new village movement and were recognised as new villages. Despite the positive numbers, Dung said that the achievements were not stable as the annual rate of falling back into poverty was 5.1%. 23,341 poor households have members who participated in various wars. The wealth gap has not been reduced, especially in the northern mountainous areas and the Central Highlands. Many experts agreed that the authorities need long-term plans and to integrate the existing policies to find better solutions. Bui Sy Loi, deputy head of the Committee on Social Affairs, also said that even though they met the goals set in Resolution 76, the sustainability of the achievements needs to be reconsidered. Five out of 100 households fell back into poverty, and for every four households that escaped poverty, one became a poor household. NA Deputy Nguyen Son from Ha Tinh Province said many policies were overlapping and proved to be ineffective. "We must reduce policies that just give away stuff and money to poor households and develop more policies that create more favourable conditions for them to escape poverty. The authorities should prioritise Ha Tinh Province immediately as many households have been classified as poor after recent natural disasters," he said. 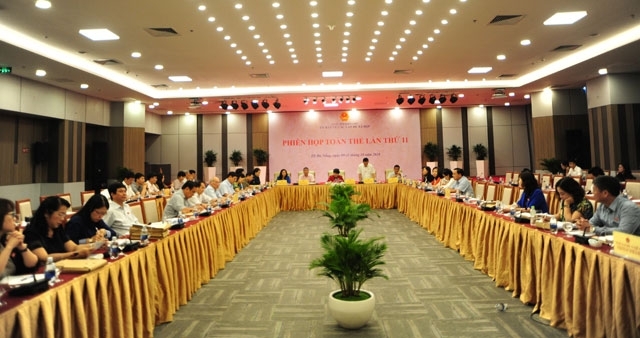 NA Deputy Nguyen Thanh Son from Can Tho Province agreed and said there were too many standing committees which should be merged together to avoid overlapping and contradictory approaches. Unclear responsibilities were cited as one of the reasons for ineffective policies and programmes.